When Emma Vaile's parents leave on mysterious business trip, it gives her the perfect excuse to be a rebellious teen. Throw some parties, get a tattoo (or maybe just a piercing), and enjoy the first few weeks of her junior year. Then her best friend stops talking to her, the cops crash her party, and Emma finds herself in the hands of a new guardian—her college-age "knight in J.Crew armor," Bennett Stern—and on a plane to his museum-like mansion in New England. After enrolling at Thatcher Academy, Emma settles in by making friends with the popular legacy crowd. But she can't shake the strange visions that are haunting her. She has memories of Thatcher she can't explain, as if she's returning home to a place she's never been. Emma doesn't trust anyone anymore—except maybe Bennett. But he's about to reveal a ghostly secret to Emma. One that will explain the visions . . . and make Emma fear for her life. From Amazon. I've put off writing this review because I wasn't impressed with this book even though I really wanted to be because I know it's going to be a series. Then I remembered who this book is written for, a young adult, meaning a teenager and not a middle aged woman. 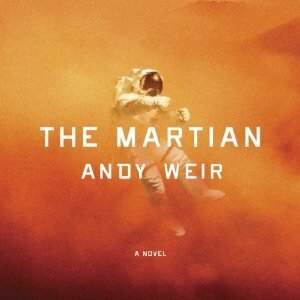 So, I took another look at the book from that perspective. I liked it a lot more as a teenager. Emma, is deserted by her parents to go on a shopping trip for their antiques shop. Emma seems fine with it, after all, Susan, who runs the store for them will look in on her. She'll be fine. Then, Susan quits. And Emma is left to run the shop and go to school. Susan's daughter, Abby is her best friend, or was, but she went off to school and stopped talking to Emma after Emma's brother Max dumped her. Countless calls, emails and texts go unanswered. But Emma holds it together until she starts to see smoke figures rise out of the funeral urns in front of the door to her father's study. She's seriously spooked. At the same time she finally gets a social life thanks to a new girl named Natalie. And thanks to Natalie, she's talked into having a party. The police come, Natalie tells them she's living alone and Emma feeling very betrayed ends up spending the night in a halfway house. She can't reach her parents by cell phone so the social worker wants to put her in the foster care system until Bennett arrives with forged guardianship papers. She takes that option. Bennett's home is a museum in the summer, but it's winter so he leaves Emma there and tells her Martha will take care of her. Someone takes care of her, but it isn't Martha she later learns. It's the ghosts she can see. The house has it's share of them and Emma can interact with them. They aren't the only ghosts she sees. Thatcher Academy has it's share of ghosts as does the town of Echo Point. And Emma can see them all. Emma makes friends easily with the quarterback of the football team, Sara, smart, pretty and popular, and Harry, strange, witty and friendly. They all welcome her quickly and Coby, the football quarterback and all around perfect guy asks her out. Emma has a hard time setting aside her feelings for Bennett versus Coby. But who can resist the perfect guy??? And Bennett is always MIA anyway. The climax of the books happens in the last fifty pages or so but you can feel it building. The ending is almost predictable, but there are a few curveballs. As a teenager it's not a happy ending. But, I did love the fact that the first Chapter of the next book in the series Betrayal is in the back of the book. It starts out very interesting. "If high school were a fairy-tale kingdom, Connelly Sternin would be Rapunzel, locked not in a tower by a wicked witch but in a high-rise apartment building by the SATs and college applications—and by the secrets she keeps. Connelly's few friends think that her parents are divorced—but they're not. Connelly's father died when she was two, and she doesn't know how. 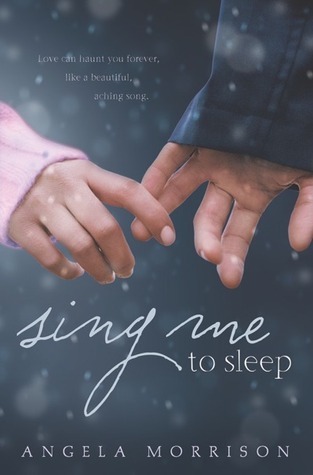 This lovely and memorable debut by Alyssa B. Sheinmel contains many of the hallmark themes found in young adult literature—friendship, coming of age, finding a place to belong, and overcoming the death of a loved one. 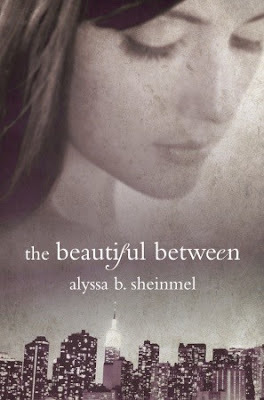 Emotionally moving from start to finish, The Beautiful Between introduces a strong new voice to the genre, a voice with a long future ahead of it." The summary above comes from Goodreads. Jeremy, royalty of New York and the school Connelly attends, befriends Connelly under the pretense of helping her with her physics if she'll help his with his SAT vocabulary. She is more than shocked but readily agrees. He sits with her regularly as they watch the girl that sits across from them cut lettuce slices into squares and eat them. They don't talk while they watch her slowly dwindle away with anorexia until she's checked into a hospital for her disease. Then, they start to study together. They are only friends but they bond over studying and a surprising secret. Connelly likes Kate, Jeremy's sister as much as she likes Jeremy. Kate is in 7th grade but hangs out with the 11th graders, she's that likeable and charming. She makes Connelly feel like she belongs with Jeremy as friends maybe more, but at least that they are alike. Then, as tragedy strikes in Jeremy's family, he begins to call Connelly at odd hours to meet him. And, she becomes part of the royalty, invited to parties thrown by people she'd never thought would have invited her much less known her name. Things come to a climax when Jeremy's tragedy peaks and he begs Connelly to get the answers she needs about her father's death. The story is told from Connelly's point of view and it's easy to warm up to her. On the other hand, I found it hard to figure Jeremy out. He was erratic and cryptic and only made sense at the very end of the novel for one betrayal. I'm hoping there will be a follow up, but I don't see how there can be with the closure Jeremy and Connelly got. I just felt like so much was left up in the air between them. Despite all that, I enjoyed the book and couldn't put it down. It was a very quick read and I will definitely read another novel from this author. It dealt with a delicate subject in a neutral way letting the reader fill in the blanks and didn't dwell on the subject. Three fates intertwine in this moving and passionate love story set in Victorian London. When Mary Finn falls into the arms of handsome Caden Tucker, their frolic changes the course of her life. What possesses her? She's been a girl of common sense until now. Mary's tale alternates with that of young James Nelligan, a new boy in an enormous foundling home. Okay. You got me. I shop by cover sometimes. Who doesn't? The cover catches your eye and you think I've got to have that! The same with shopping for clothes only for me it's books. 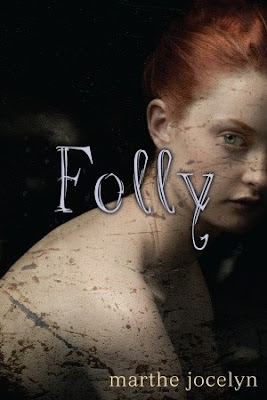 Well, that's what happened with Folly. I had to know why the girl looked that way. 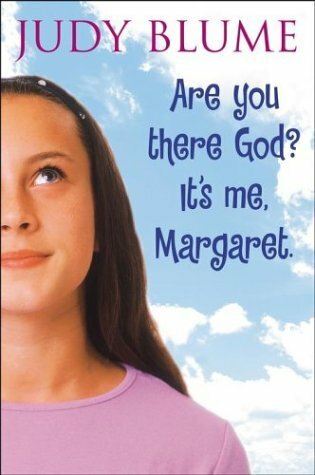 I still don't know why, but it was a good book. I started the book a little disappointed because it was written in 19th century vernacular. It was hard to understand at first. Then I don't know if the author stopped writing that way or I just got used to it because soon it didn't matter. It was clear as a bell to me. I really fell in love with the three main characters. There was nothing about them not to love. Mary was a country girl only 14 when she was forced to leave home, but she was strong willed and sure and good, back when that really meant something. James was a brave boy at six and smart to figure out how to get along in the world without getting picked on and he was so lovable, I could picture him with his blonde curls and giving his head a rub. And my heart ached for Oliver Chester who didn't feel like he was worthy of leaving the place he grew up. The chapters go back and forth between the characters and weaves the story only fully revealing the whole story at the very end, but an astute reader can probably guess the ending before then. I wasn't very astute until I went back and looked at the chapters. The book wasn't very long, but it was heartbreaking in places,(not enough to make me cry) and heartwarming in others. I read this in a couple of hours and enjoyed it. But, I still don't understand the cover. Maybe someone else will. Will you be the boy who rescues me? Will you be the boy who makes me sing? Will you make me true to who I am? True love can turn you into a whole new person. Even if you once we The Beast, you can become The Beauty. One boy can awaken the music inside of you and make your voice sing out. And then, one terrible secret can take it all away. But as Beth discovers in this tragic and luminous talk from the author of Taken by Storm, no matter how painful love is, it's worth it. Because it's better to have loved and lost than never to have loved at all. Okay, that is a really cheesy book jacket description and hardly describes this wonderful book. I am not a Nicholas Sparks fan and had I read on Amazon that Nicholas Sparks lovers would like this book, I wouldn't have bought it. That being said, I loved this book! Poor Beth's father took one look at her after she was born and said she was da-amn ugly. That story stuck with her when she heard her mother tell it to her aunt. She's tall, has frizzy hair and acne scars all over. To make it worse there's a group of senior boys that do everything they can to make sure she's reminded of how ugly she is. She has one friend that helps her make it through the day, her best friend Scott from 3rd grade. He tells her she's more than her looks. And her hormones are starting to recognize Scott is a hottie. It was a little annoying that Beth didn't pick up on his less than subtle hints that he was into her. But then, Beth also has her music. She's picked to sing the solo at what amounts to the Olympics of choir singing in Switzerland and she's contacted by Derek from the Olympic Champions several years in a row on line. He falls in love with her voice before he's ever seen her. Good thing too because she goes through a grueling transformation before they go to Switzerland. Boy meets girl and they fall in love. But Beth gets bad news and it affects the rest of her life. And Derek has news that affects the rest of his life. When they get back home, Derek makes excuses for not seeing Beth and Scott makes it hard to resist him. 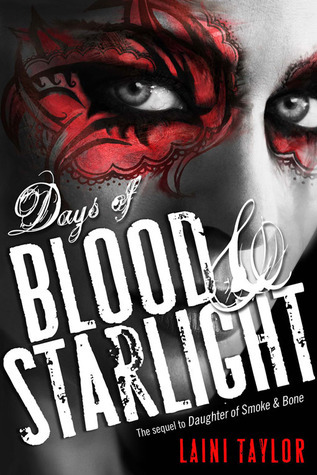 Derek makes unexpected appearances and they have passionate moments and just as passionate fights. Derek tries to make plans for them to be together more, but it doesn't work for Beth. Then he disappears for weeks at a time. His friend rumored that he had a drug habit when they were in Switzerland. Beth isn't sure with his long absences. I don't know if you know how hard it is to cry when you're on antidepressants, but it is very hard, especially when you've been on them as long as I have. But my husband had to come in and find out what was wrong with me for the last few chapters of the book. I couldn't hold it in. I'd fallen in love with Beth and everything she'd felt and been through and was going through. From page 250 on it's a gut wrenching ride and if you need to cry, it's a great place to start. I usually use parts of The Color Purple to cry, but this one is going to be my new go to when I need a cry. It ended perfectly. Not a fairy tale, but realisticly. I absolutely give it my highest recommendation!!!!!! With no other family and a life spent in and out of institutions, Aden and the souls have become friends. But now they're causing him all kinds of trouble. Like, he'll blink and suddenly he's a younger Aden, reliving the past. One wrong move, and he'll change the future. Or he'll walk past a total stranger and know how and when she's going to die. He's so over it. All he wants is peace. Somehow, they share an inexplicable bond of friendship. A bond about to be tested by a werewolf shape-shifter who wants Mary Ann for his own, and a vampire princess Aden can't resist. 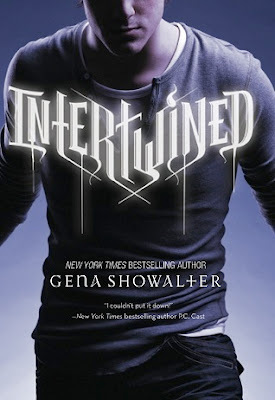 I just finished reading "Intertwined" and have to say I wasn't disappointed. 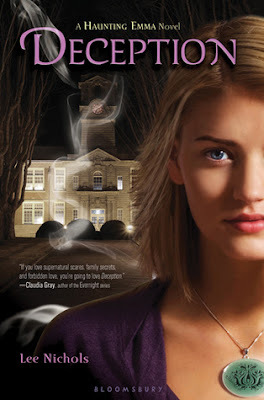 I'm used to reading Gena Showalter's adult novels so I didn't know what to expect when she jumped to the YA genre. I picked this up previously and despite fighting zombies in the first few pages I wasn't into the book. So I set it down and read some other things. 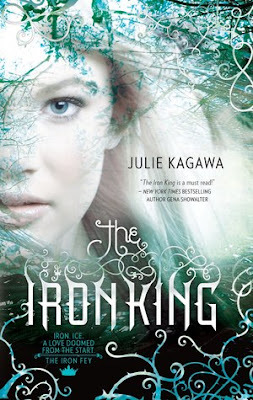 Then, while waiting for my next stack of YA books to come, I started reading it again. It started to get really interesting around page 82 as Mary Ann is walking to school. Many of you may get sucked in before then, but it took until there for me to care about the characters. All of a sudden the action starts and it doesn't stop until the end at page 440. There's a girl Mary Ann, that shuts the voices up in Aden's head, but they aren't attracted to each other, just friends. There's a vampire that Aden has been dreaming of kissing that shows up. A werewolf walks the girl Mary Ann to and from school and talks to her in her head. Betrayal by friends. Mary Ann finds out things about her past she never imagined. Aden travels back in time to discover something about the present and he loses one of the voices in his head. Then there's the Halloween Ball, where he's to meet his girlfriend the vampire's father, Vlad the Impaler. The original. And, Aden already knows he's going to die soon thanks to one of the voices in his head that can see the future. He's just not quite sure when. Add to that, Aden has somehow called all types of supernatural creatures, vampires, werewolves, fairies, goblins and witches. The book ends satisfactorily, but with a lot of things left open. Everything is definitely intertwined in this book. Of the four main characters, I thought three were very well developed but felt the vampire,Victoria felt a little flat. Of all the characters, Mary Ann had the most growing up to do. She seemed to be little Mary Sunshine in the beginning of the book, but by the end, her eyes were wide open and she'd shown amazing character growth. Aden really didn't have any growth to make. He was already so mature with everything he had to deal with except he does need to learn to hold back on his urge to fight. We don't know the characters of Riley and Victoria very well, even though we only just meet all of them in the same book, but the story is told from Mary Ann's and Aden's points of view. There were a few subplots that didn't seem to add much to the story but perhaps the reason for them will come out in the next book or they were a subtle hint about what was in Aden's head. The next book is due out in August and I can't wait. 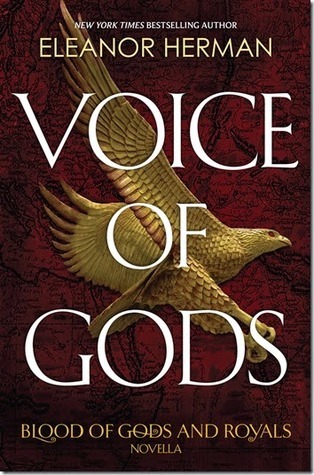 This is a great series and I'm guessing there will be three other books including the one coming out in August as there are three other souls in Aden's head. I think this book was also released as Knife at one time. The faery world is crumbling. During a disaster called the Sundering, these small, fragile, winged creatures lost all of their magic save that which allows them to fly, and they live inside a great oak tree, fearful of people and animals. True friendship and love are foreign to them. Worse, they are falling victim to a kind of dementia they call the Silence, and are dying. Into this picture comes Knife: tough, brave, adventurous, and soon taking on the job of Queen's Hunter. While defending herself against an attacking crow, she is rescued and taken home by a human. 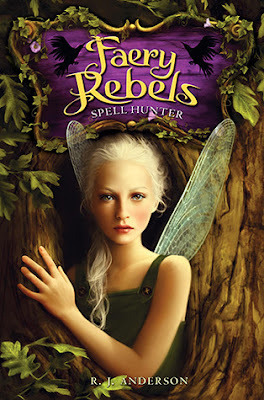 Knife becomes convinced that the mystery of their lost magic and the dementia are connected to the faeries' fear of humans and becomes committed to saving her community. 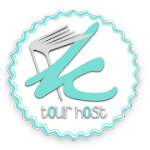 The heart of the book lies in the relationship that develops between Knife and the human Paul, who is a paraplegic. Anderson draws on echoes from countless fairy tales and legends about the relationships between human men and faerie women to enrich this gripping and involving story. While the main characters are vividly drawn, some of the secondary characters and background story are sketched more hastily. 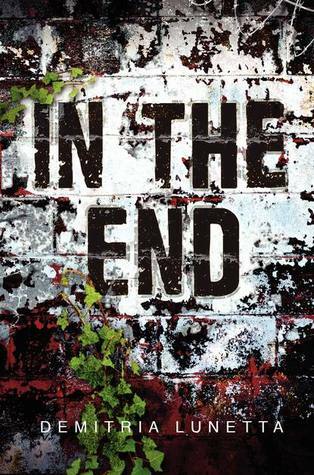 Though the book looks like it's for a younger audience, middle-school readers who are willing to stay with the story through its first third will find ample rewards as the relationship between Knife and Paul evolves. So much for the inside jacket blurb. I started this one and put it down several times. It seemed to me that the faeries inside the Oakenwyld were just mean and nasty old people that belonged in a retirement home. And really when I thought of Paul, all I could picture was the old man from the movie "Up" from Disney. So, maybe if I had read the descriptions better or got a better feel for what Paul really looked like and why Knife would develop her relationship with him, I would have been drawn into the story more. Maybe a picture on the front of him and her. Anyway, after a few more chapters, the story moved past trying to kill a crow and get food for the fairies that lived in the tree and Knife's ennui and that's when it got interesting. That's when I couldn't put it down. Was the queen bad or good. Who was going to die from the Silence. Would Knife find a cure? What did Heather's diaries say? My curiousity got the best of me and I found myself up until two am trying to finish the book. I did and was satisfied with the outcome, though I would have liked to see the next morning. This really is a pure love story-Knife's love for her people and for Paul and it all falls into place. And better still, there's already a sequel. I absolutely loved this book. The female protagonist was a strong character with a single minded determination to get what she came for no matter the price. If she had to make a deal with a talking cat, so be it. A deal with the son of a Queen that wanted her dead, so be it. And she looked out for her friends along the way all the while searching for the one thing that had brought her to Nevernever in the first place. Meghan had never known she was part faery and hardly can believe it on her trip through Nevernever as her guides call it. She has many times when she just barely escapes, but she always keeps her wits about her. She finds out that not only is she part faery, but she is part faery princess as Oberon, King of the Summer Court is her father. His interest lies in protecting her from those who would use her against him, the Unseelie or Winter Court, which is where Meghan believes she must go to find the thing she seeks. Nothing seems to deter her from her journey, not threat of death, not injury, not the ire of the Queen of the Summer Court, nor the Winter Court. She is undetered by all these fantastic creatures she's never seen before that she can all the sudden see and at the very end when she looks like she might lose, she finds the strength to go on alone despite how foreign everything is to her because she's after the one thing she loves the most. The writing in this books is so easy to read and I can see Nevernever as it is lain before me in words. The untamed woods of the Wyld, the bright garrish colors of the Erlking's lands and the cold, quiet, eeriness of the Winter Court. I can also see the wild bars and places where the trods are where they enter and exit Nevernever. 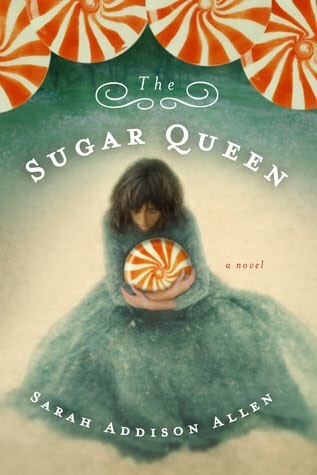 Ms. Kagawa paints a great picture with her words and weaves a good story with her prose. I'm anxiously awaiting Iron Daughter. My only complaint is that I can read it too fast. I wish it was twice as long. But she was kind enough to give us Winter's Passage on her website to tide us over. Thank you Ms. Kagawa!